Back in the day when science magazines had science, a kid could find all sorts of laser spy devices, and even the plans to build them. 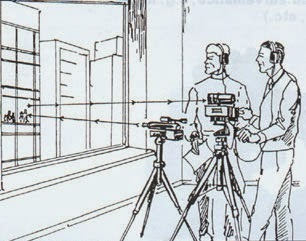 A popular instrument usually found in the back pages next to the X-ray specs was the window-bounce remote laser microphone. 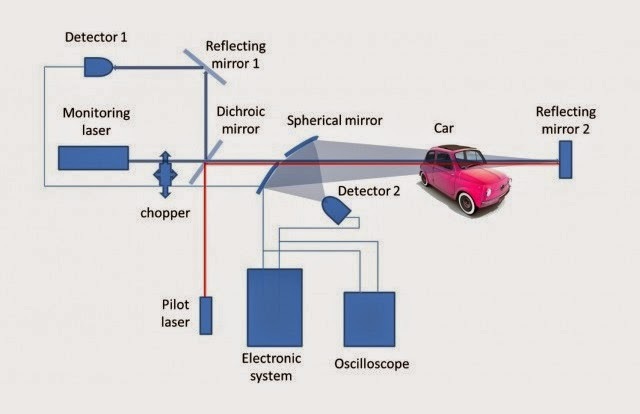 With a little effort one could detect vibrations in the glass made by sounds by bouncing a laser off the window. A new kind of stealthy laser device is under development at the Military University of Technology in Warsaw and so far, testing has been fairly successful. Using this tool, law enforcement could potentially triage drivers for a DUI workup by remotely sensing alcohol vapor in the cab as they drive through their trap. The device itself actually needs four lasers to even begin to have any kind of accuracy. To see why lets consider another police trick used to keep the peace the LIDAR (LIDAR is a portmanteau of “light” and “radar”) speed gun. Radar guns based on the Doppler effect work fine if you’re the only car on the road, but in traffic something that holds up better in court is needed. LIDAR provides this accuracy by using time-of-flight detection and the laserlike focus of well, the laser. The main sources of inaccuracies in LIDAR are due to differential absorption and scattering of the beam by things like water vapor, dust, windows, and pigments. One way some people try to foil LIDAR is to use special paints and clear-coats that absorb specifically in the 905 nm wavelength used by speed guns. One way to account for these inherent sources of error, is to use a technique known as differential absorption LIDAR, or DIAL essentially using two beams with separate wavelengths, which interact differently with the same material. The Warsaw team basically uses the same trick, but to specifically detect alcohol they rely on “color vision” so to speak. Ethyl alcohol has a wide absorption band around 3.39 μm (3390 nm), while that of water vapor, which will also be present, is around 3 μm (3000 nm). The team therefore choose to use a 3.39 μm He-Ne laser to see the alcohol, and a 1.5 μm diode reference beam to discriminate it from water. This is all standard laser fare, the same kind of technology used in pulse-ox to measure oxygen in your blood. 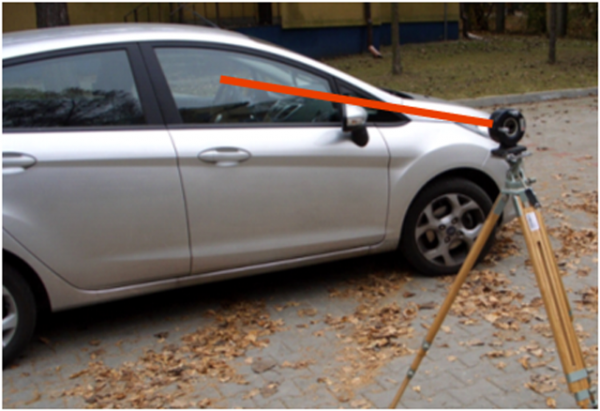 To actually use the device, a mirror on the opposite side of the road is needed to reflect the beam back to the detector. This also gives the beam a second look at the air and further increases accuracy. While all this might sound like a pretty laborious setup, the research papers do indicate that it actually works quite well. The big question remaining, though, is whether the detector will perform in the real world where cars might be needlessly be flagged for perfumes, mouthwashes, or just not ever rolling down their windows?